We recently asked our TechTalk contributors to recommend a favorite FREE application or tool that they currently use. This post is Terry Stockdale’s response to our request. 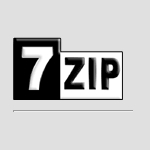 I’ve been using the free file archiver 7-Zip for a number of years. I needed an archiver that understood and could unpack more than just .zip files. 7-Zip turned out to be the solution, since it supports a lot of formats. It can pack and unpack files into 7z, XZ, BZIP2, GZIP, TAR, ZIP and WIM archives. It can unpack even more types: ARJ, CAB, CHM, CPIO, CramFS, DEB, DMG, FAT, HFS, ISO, LZH, LZMA, MBR, MSI, NSIS, NTFS, RAR, RPM, SquashFS, UDF, VHD, WIM, XAR and Z.
free software, Terry's Computer Tips freeware. permalink.